Who says new is always better? The is a big leap forward from its predecessor. Along with an all-new look, the GLE gains a new 255-horsepower 2.0-liter four-cylinder turbo option in place of the 3.0-liter V6, as well as a new inline-six option with a 48-volt system producing a total of 362 hp. Those power changes are accompanied by a new nine-speed automatic transmission, an available third-row seat, and an all-new interior. 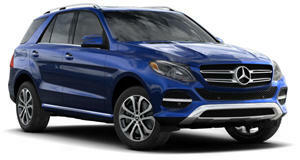 This update was much needed, as the GLE was one of the most outdated vehicles in the Mercedes lineup. We still don't know exactly how much the new GLE will cost, be we assume it will be close to the outgoing car's starting price of around $55,000. The GLE may be an impressive SUV, but $55,000 is a lot of money. For those who simply can't afford such an expensive SUV, don't worry, because we have seven equally awesome used alternatives. Often on these lists, we like to recommend the older version of the more expensive new car, and this no exception. The GLE replaced the ML class when Mercedes switched to the 'GL' naming scheme for its SUVs. The AMG Division will eventually get its hands on the new GLE, but why not spend a lot less on a used ML63 AMG? Up until 2011, the ML63 was powered by a 6.2-liter naturally aspirated V8 producing 510 hp. This engine was later replaced by a 5.5-liter twin-turbo V8 producing 518 hp. You could wait for the new GLE63, but it will likely cost over $100,000 while the old ML63 can be found ranging from $15,000 to $45,000. 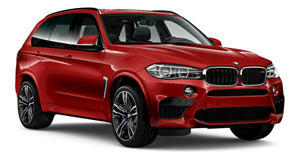 The second high-performance German SUV on our list is the BMW X5 M. A used M car may not be as easy to maintain as a new, non-AMG Mercedes, but life is too short to worry about maintenance bills. We found several original X5 M examples selling from $20,000 to $40,000. This beast of an SUV is powered by a 4.4-liter twin-turbo V8 from the M5 pumping out 555 hp. For those who don't mind high mileage, we also found a few examples of next-generation X5 M, which bumped the power up to 567 hp. 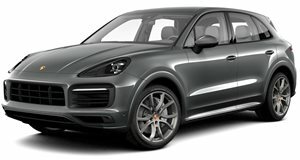 Finishing off our trifecta of German luxury SUVs is the Porsche Cayenne. It truly doesn't matter which Cayenne model you choose, because they are all great. For this budget, we'd stick to a second generation model which began in 2011. 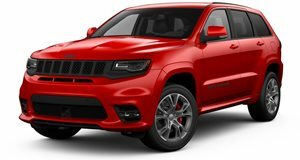 Prices begin as low as around $20,000 for high mileage base and S models, while GTS and Turbo models can attract around $50,000. A 500-hp Cayenne Turbo for $50k sounds pretty good to us. 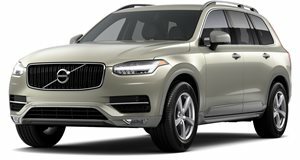 Not everyone buying an SUV wants it to double as a sports car, which is why we adore the Volvo XC90. Unlike some of the other SUVs on this list, the XC90's only priority is luxury. It doesn't have crazy paddle shifters or track modes, but it does have a lovely 2.0-liter twin-charged four-cylinder producing 316 hp. Sadly, the 400-hp T8 hybrid isn't available for less than the price of a new GLE but T5 and T6 variants start at around $30,000 on the used market. Why settle for even the most powerful 362-hp Mercedes GLE, when for much less you could get a 5.0-liter supercharged V8 with 510 hp? 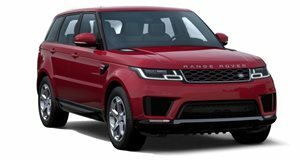 We found used, supercharged Range Rover Sport examples for around $38,000 to $50,000 depending on mileage and year. The lesser V6 supercharged engine can be found for even less and still produces a healthy 340 hp. Ever since , it's all anyone has been able to talk about. This shouldn't detract from the original Grand Cherokee SRT-8, which is still an incredible SUV. 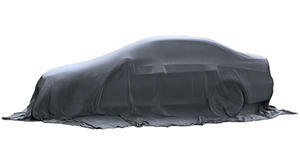 We recommend getting the 2012 facelifted model, which is powered by a 6.4-liter Hemi V8 producing 470 hp. High mileage examples can now be found for less than $20,000, with newer low mileage examples approaching $50,000. Though the Volkswagen Touareg may not be the most exciting SUV on this list, . Just think about it - the Toureg was so well engineered, it eventually became the platform for the Porsche Cayenne, Audi Q7, Bentley Bentayga, and Lamborghini Urus. The Touareg itself was powered by either a 3.6-liter V6 with 280 hp or a 3.0-liter diesel producing 240 hp and 406 lb-ft of torque. 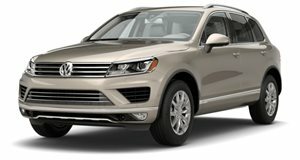 Prices range starting at just $10,000 for used second generation models, making the Touareg the most affordable SUV on this list.